These 12ga shotshells by Sellier & Bellot are the perfect addition to your home defense arsenal. 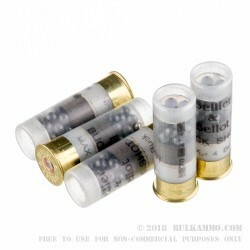 Sellier & Bellot uses 2-3/4 inch plastic hulls for this 12ga ammo. Each one is packed with 21 pellets of penetrative #4 buckshot that will crush targets, take down deer, and put an attacker on their duff. 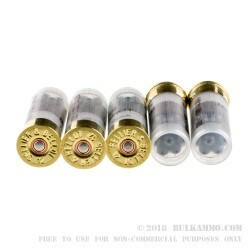 #4 buckshot is an excellent round for self-defense because it provides stunning knockout power without over-penetrating the target. If you're worried about striking objects and the other inhabitants in your home, this 12ga ammo is worth trying. These European-made shells are the perfect combination of performance and value, so don't pass on this 250-round case. Order today!